So you treated yourself to an Amazon Echo or Dot. After checking the weather, news, traffic updates, sports headlines, and the numerous easter eggs to amuse your friends, most of you reading this will quickly want to make practical use of the new digital assistant sitting patiently in your home. The beauty of podcasts is you can listen and learn about subjects you are curious about in almost any location. But did you know you can ask Alexa to play your favorite show with one voice request? Amazon has partnered with the free podcast and internet radio service provider TuneIn which features over 100,000 radio stations and 5.7 million podcasts. The best part about this function is you don’t need to worry about an account signup, login, or any configuration to add the ability to your Amazon Echo. 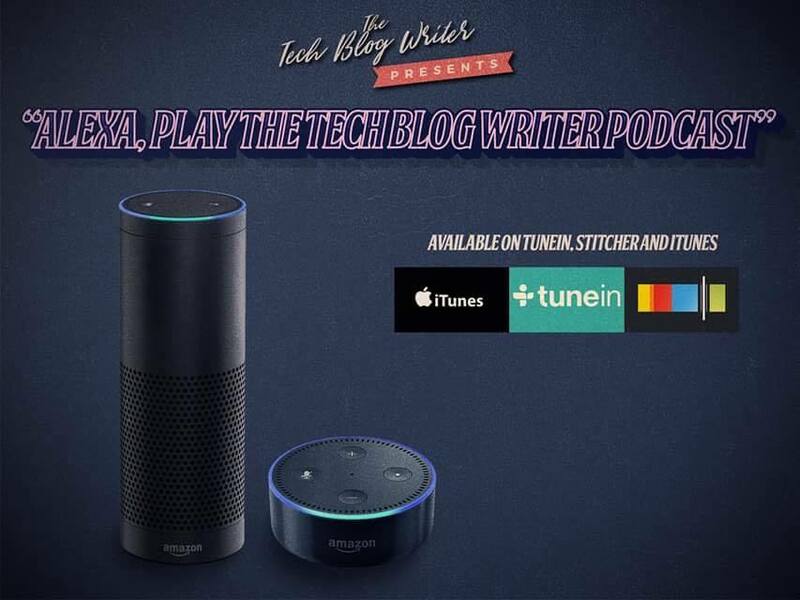 “Alexa, play the Tech Blog Writer Podcast.” And it will play the latest episode of my show. Assuming you know the name of your favorite radio station or podcast, all you need to do is ask Alexa, and you can carry on doing your chores or cooking a nice meal while listening to your favorite show. How Do I Skip An Episode Of A Podcast On Amazon Echo? The only downside of listening to podcast episodes on Amazon Echo is that it will automatically play the most recent episode. If you are a few shows behind then you can merely say “Skip” or “Next” to go to the next episode. However, there’s no way to skip forwards or backwards within an episode which can be frustrating when listening to a show littered with sponsored ads. That’s all you need to start listening to podcasts or radio stations from all over the world on an Amazon Echo or Dot device in the comfort of your home. It can be quite handy when you have your handsful to say “Alexa Play the…” and has enabled me to catch up with the growing number of podcasts that I love. I would love to hear how you are getting on with using voice control to listen to podcasts. What shows do you like? Do you find the feature useful? And do you have any additional tips? Let me know your thoughts by commenting below or tweet me @neilchughes.